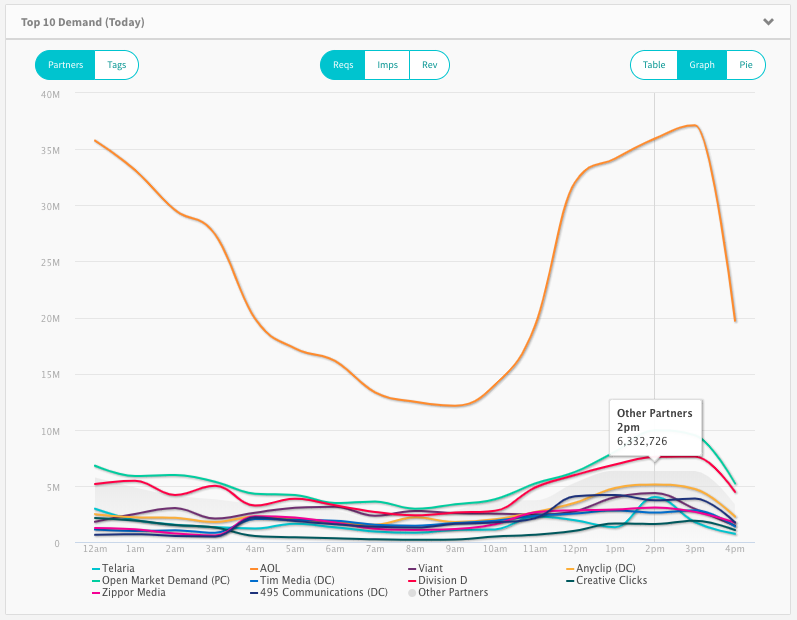 Protected Media partnership, Bid Density graphs, dashboard improvements, and more. Take advantage of Protected Media pre-bid blocking and and post-imp detection to protect your inventory from invalid traffic. Protected Media’s capabilities encompass all environments, with unique expertise in In-app traffic. Read the full press release and article in Adweek. Understand how their inventory is valued by bidders. Get a sense of how many bids their inventory receives at specific price points for a given day. Understand the effects of pricing their inventory by looking at the overall and bidder specific bid distributions. Get a sense of floor price changes and their impact on bidder behavior. 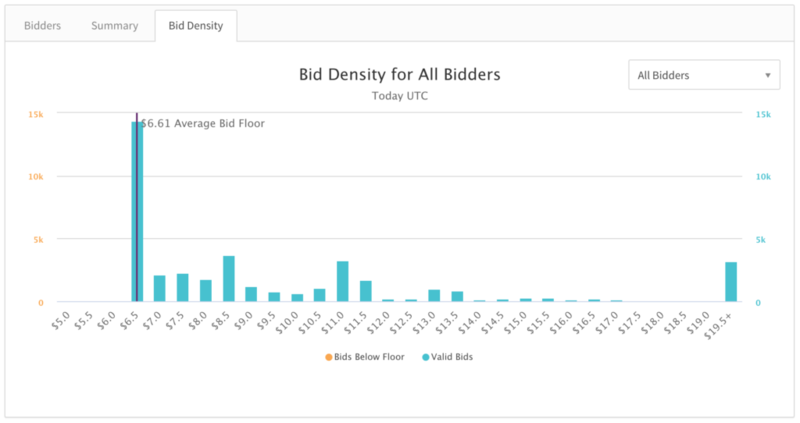 On the Bidders tab of the OM modal, hovering over the histogram icon will display bid density for the given bidder. 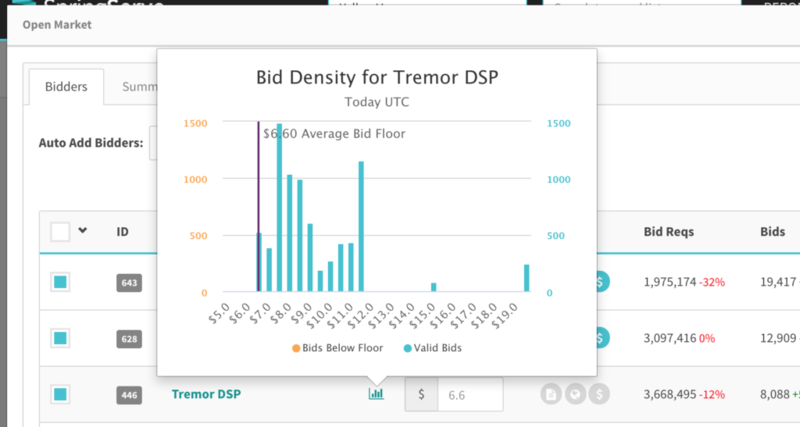 You can also view bid density across all bidders on the Bid Density tab of the OM Modal. This tab gives you the option to filter by a selected bidder. Please see our wiki for more information about Bid Density. If you have a large number of demand tags to import into SpringServe, you can now import these tags from a csv rather than manually inputting each one. 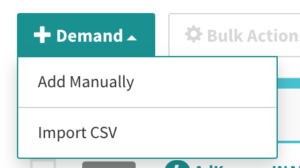 To use this feature, select Import CSV from the +Demand menu button on the Demand page. From here, you will be taken to the Upload Demand page. On the Upload Demand page, you will find a table containing the headers, descriptions, examples, default values, and notes. If you need to see an example file, click the example link. You can also copy the headers directly from the SpringServe UI by clicking the Copy headers to clipboard button. Once you have copied the headers, paste them into a csv file and fill out the rows for each of your demand tags. Once you have saved your csv file, click Choose File to select the file and hit Submit upload the tags. While the tags are being uploaded, you will see a progress bar. You will be notified once the tags have been successfully created. On the account activity dashboard, you can now select various metrics to sort by in the Top 10 sections. These sections include the Top 10 Supply, Demand, and PC Demand. In the Top 10 Supply and Demand sections at the bottom of the page, choose from Requests, Impressions, and Revenue. The table view will show data sorted descending by the selected metric, and you can visualize that data in the line graph and pie views. 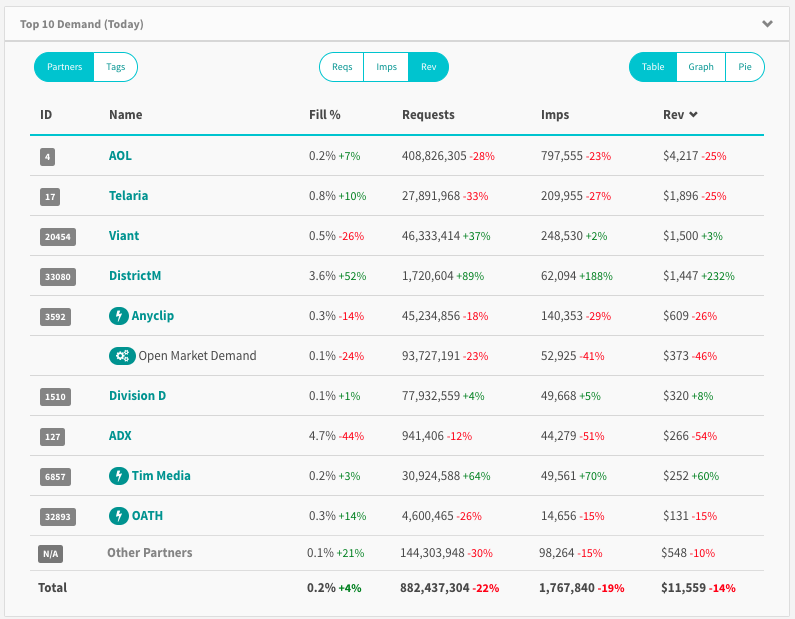 On the demand dashboard, you can select from Bid Requests, Impressions, and Revenue for your top 10 PC demand. 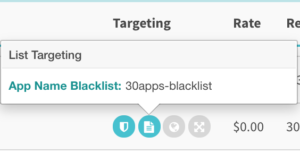 Now you can directly navigate to the targeting tab of tag, partner, or campaign; simply click on a teal targeting icon in the index table for quick targeting updates. Clicking on the shield icon will bring you to the settings tab, where you can update the pre-bid blocking and post-imp detection. The internal SpringServe tag tester allows you to search for your managed tags and automatically loads the endpoint url into a test player. The tag tester can now be accessed in two ways: from the settings menu, and by clicking the flask icon in the header of a managed tag. When you click the flask, you will be redirected to the tag tester with the managed tag pre-loaded and ready to test. Make sure to replace [YOUR ACCOUNT ID] with the number in the lower right hand corner of the screen. For example, CrushTownUSA’s Account ID is 17. For any and all questions and requests, please reach out to you account manager, who will be able to connect these partners and ensure your domains are whitelisted. We have always been dedicated to inventory quality and transparency. 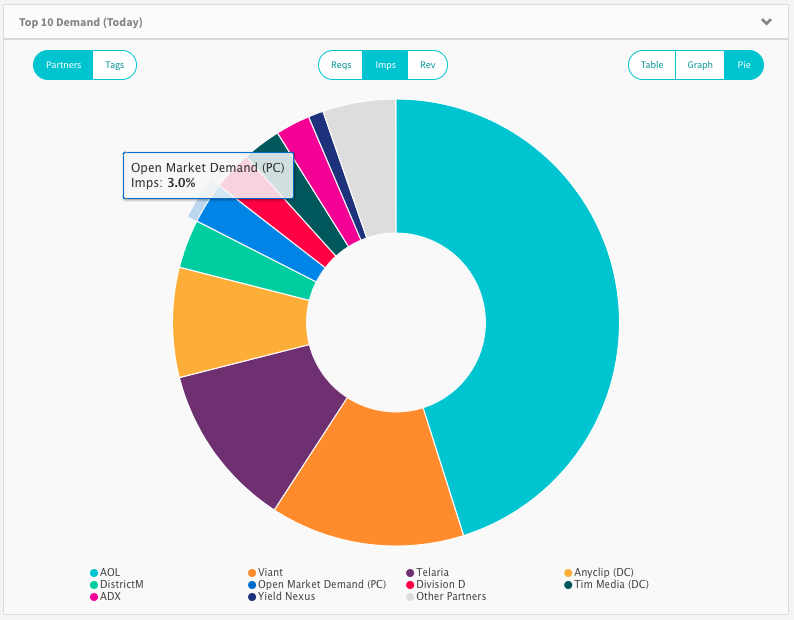 As we continue to expand our Programmatic Connect initiatives in 2019, we are instituting new quality policies supply sold via Open Market demand. Please see the full policy on our wiki. If you need more information, please contact your designated account manager; these policy updates are intended to maintain the integrity of the open market ecosystem as we continue to expand our bidder integrations that will ultimately bolster demand opportunities for SpringServe partners. We have also updated our Daily SpringServe Quality Report to include an Open Market Quality Report, which provides IVT metrics specific to open market demand. If you are not receiving the daily quality report email and you would like to, make sure that you are marked as an account contact on the SpringServe Users page. This entry was posted in Release Notes and tagged dashboard, open market, programmatic connect, protected media. Bookmark the permalink.